Timing is everything and sadly as we approach Christmas once again we hear that redundancies are occurring in Milton Keynes. Whilst there’s never a good time to be made redundant we think the run-up to Christmas is possibly the worst? This is a stressful time for the individual involved and their family and whilst you’ll be counselled that this is a business decision, we understand that you cannot help but take the decision personally. The good news is, that lots of companies are hiring new staff. We’ve got great roles working for some of the best employers in Milton Keynes. Our clients are looking for administrators, call centre staff, collections advisors, team leaders, payroll administrators and customer service executives. So, if you are facing redundancy, please get in touch with our team on 01908 200270 and we can talk to you about some of the roles we are looking to fill straight away! We’d equally like to hear from you if you’re not being made redundant but you’d like to know what we can do to help you. 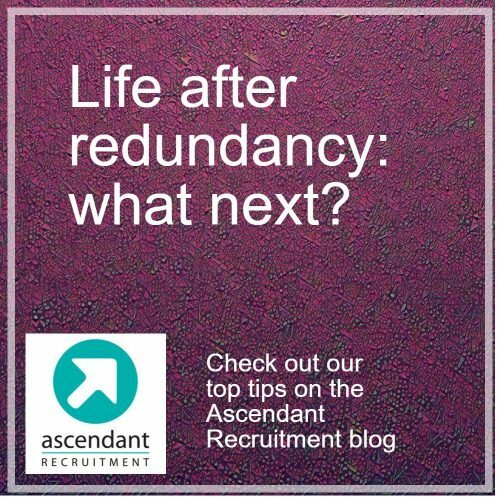 Life after redundancy – what next? Please seek advice from your HR team if you are facing redundancy so that you get the best possible package to set you up once you leave work. And speak to your line manager to discuss the possibility of time off to meet with agencies and attend interviews during your last few weeks at work. Our team can be really flexible about meeting up with candidates so that we can register you for roles and start job hunting on your behalf. We have a broad scope of live vacancies, both on a temporary and permanent basis. So if you are looking for a temporary position to pay the bills whilst you think about your next move or if you are looking for the right permanent option, our clients are actively looking today and we want to hear from you!